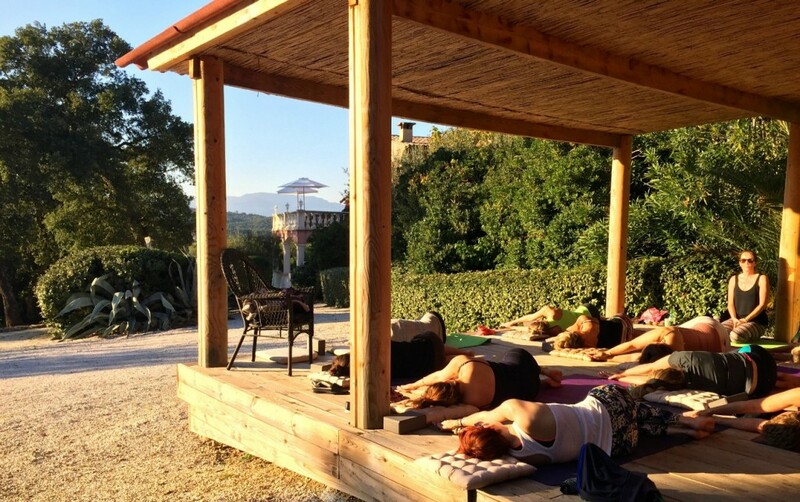 Villa Tropez is set to become the retreat destination in 2018 for boutique retreats in Europe, with the likes of the internationally respected Pradeep Yoga from California hosting their South of France retreat in September 2018, inviting guests to share in their international yoga experience. This follows on from 2017 having been booked solidly with retreat groups from all over the world, enjoying the sanctuary setting, where Provence meets the Côte d’Azur. What does this retreat venue give to retreat organisers? For the past 10 years Villa Tropez has largely been offered as a rustic luxury villa rental and filming location, though with the introduction of new wellness facilities a couple of years ago and Condé Nast Traveller rating it as one of the world’s most sought after getaway group destinations, it is now a top choice as a venue for yoga, health and wellness retreats. It’s not just the amenities on offer on-site, it’s also the location – a world famous bucket-list destination, making it such an easy on-sell for retreat organisers. A back-to-the-earth therapeutic experience, where the tranquil sanctuary-like grounds, gentle rolling countryside and local farmland walks offer a rejuvenating setting for days on end. Without having to set foot in a car, your group can enjoy the solitude of the gorgeous Provençal setting, with nature surrounding every side. Your retreat can include the theme of a farm-to-fork experience with visits to quaint gourmet towns, local markets, and traditional artisan studios. 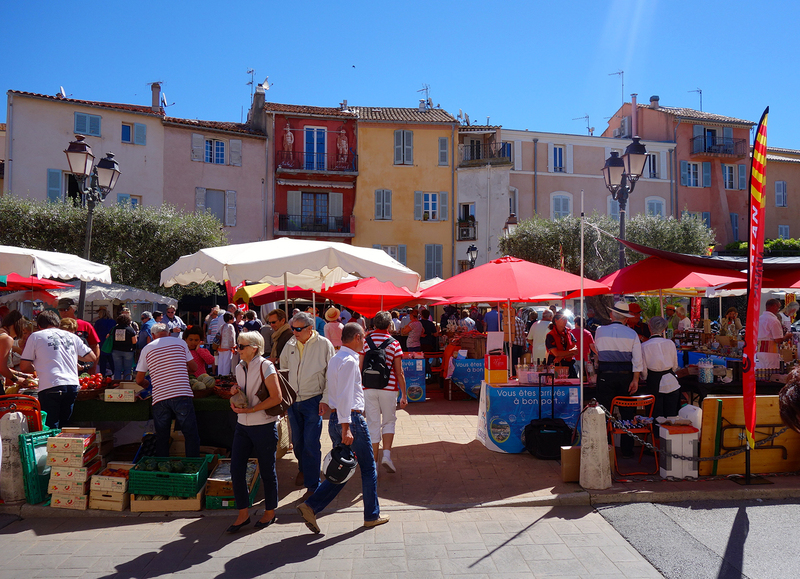 It’s so easy to be immersed in the simple Mediterranean healthy lifestyle, picking up culinary tips from the local food stalls and gourmet production houses. Retreat participants seeking a touch of glamour on their retreat will not be disappointed, with close access to the jet-set destination of Saint Tropez and the beach clubs of Pampelonne beach; or Grasse, Cannes and Nice as day trips. Villa Tropez has become known as a regular go-to for well-known health personalities seeking seclusion and tranquility, such as Meg Matthews and Elen Rivas, with the choice of then going into the glitz of Saint Tropez with the fabulous shopping, restaurants and beachclubs. Facilities include six bedrooms with flexible twin/double/triple share, most with their own ensuite. A fully equipped yoga pavilion, gym equipment; meditation, relaxation and workshop areas, a large pool, level grassed areas and the pool terrace all offer options for yoga/fitness classes. The acre of private grounds with therapeutic herbs, the Oliveraie – olive grove – and the local countryside are ideal for walks in nature, and to experience the Provençal farm-to-fork traditions. Massage/beauty treatments, wellness and culinary experiences, as well as local tours are all options to make up the perfect retreat.